Wilkhahn is a german premium manufacturer of high design conference furniture for meeting, working and learning environments. We develop, manufacture and merchandise first-class ergonomically designed seating furniture. SITAG offers office seating, desks and modular office system furniture. We are a furniture company dedicated to developing healthy, intelligent & durable solutions for the office, home & public spaces. Flokk is the leading manufacturer of high quality workplace furniture in Europe, developing a growing family of brands. 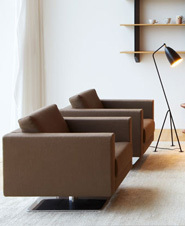 Our collection of designer furniture is created in collaboration with the best designers and is made in San Sebastian. With our chairs, stools and tables we provide solutions to all types of spaces: offices, home and catering. One of the leading brands for high quality object furniture: from the management office to the conference area. 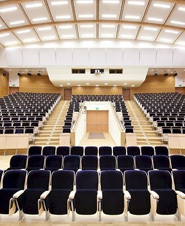 Our product range includes stadium seats, auditorium seats, cinema and theatre armchairs and telescopic tribunes. Work places, tables, desks, sit/stand tables and storage. The second largest office furnisher and designer in The Netherlands. High end seating solutions - and the tables which go with them - for efficient and creative work. Interior design, system and workplace furniture for offices, industry, administrations and service providers. We offer a wide range of seats, chairs, tables and furniture for privat and public interiors. Desk systems and high quality office furniture. Comprehensive system logics throughout the range. Our offer comprises of integrated office furniture systems, modern chairs, comfortable office armchairs and sofas. We manufacture and design modular office systems and are a planning and design company for office spaces. We offer chairs, armchairs, stools, tables, benches, sofas, lounge and task chairs that make your living spaces more welcoming. Offers desking, seating, storage and other products for the work environment. 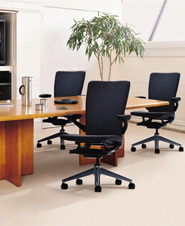 Manufactures wood office furniture including casegoods, conference and seating products in a variety of styles. Produces conference tables, conference room furniture and occasional tables with outstanding design. Manufactures executive office furniture and high quality residential furniture produced according to age old traditions. Manufactures furniture for training, teaming and conference purposes. 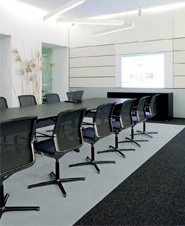 Furniture solutions for work environments such as offices, homes, schools and more. Offers quality office furniture including system, conference and modular furniture backed with an exceptional customer service. Produces craftsman-made executive office furniture in the best British traditions. 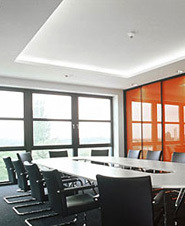 Leading designers and manufacturers of executive office and boardroom and prestigious building interiors. Offers office furniture including desks and casegoods and recently extended its activities to the contract sector. Manufactures wood office and home furniture including desks, bookcases, conference tables and other products. Manufacturers of industrial furniture, home furniture, office furniture and boardroom furniture.